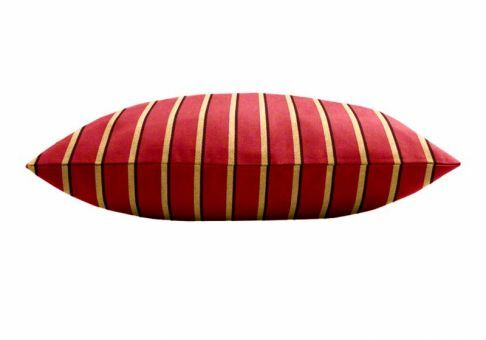 The Sunbrella Harwood Crimson throw pillow offers a clean design with crisp red, brown and gold stripes. 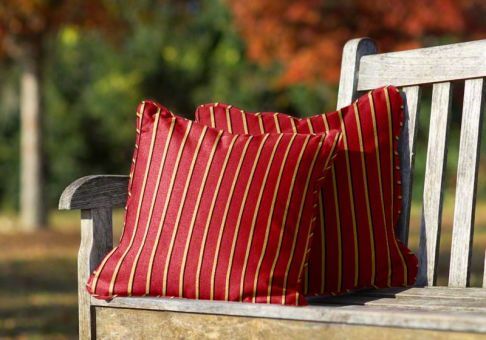 The Harwood Crimson fabric will add a beautiful touch of color to your setting. Pillow dimensions are based on measuring along the cut edge of the pillow, not the width of the stuffed pillow. Once filled with poly fiber, the height and width will be slightly less than the measurements ordered. 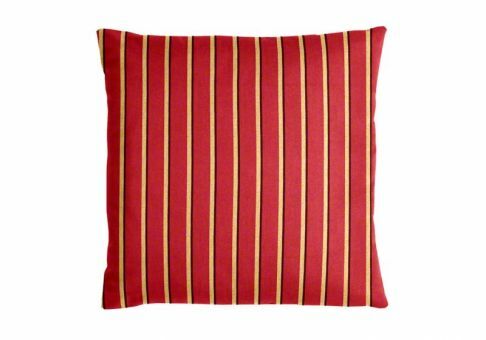 For example, a 17" x 17" pillow will have finished dimensions around 16" x 16". 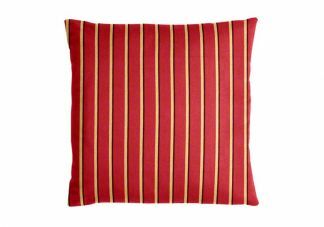 Pillow will not have any trim (piping/braid/fringe) along the seam.